Alim Beisembayev was born in Kazakhstan in 1998. He started playing the piano at the age of 5 in a music school in Almaty. In September 2008, he moved to study at the Central Music School of Moscow. Later that year, he won the televised, international competition for young talented musicians “Nutcracker”. 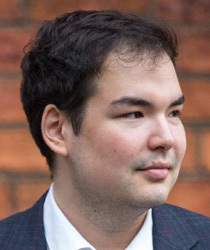 After two years of studying in Moscow, he moved to continue his studies at the Purcell School for Young Musicians in the UK, where he was taught by Tessa Nicholson. Alim has played with many orchestras including the Orchestra of Evgeny Svetlanov, Symphony Orchestra of Vladimir Fedoseev, the Tchaikovsky Symphony Orchestra, Fort Worth Symphony Orchestra and he has also worked with conductors such as Mark Gorenstein, Dmitry Liss, Evgeny Bushkov, Mei Ann Chen and Karina Canellakis. In 2010, Alim recorded Beethoven’s Piano Concerto No. 1 with the Symphony Orchestra “New Russia” under the baton of Evgeny Bushkov. His performances have taken place in prestigious halls such as the Great Hall of Moscow Conservatoire, Tchaikovsky Concert Hall, the St. Petersburg Philharmonia of Shostakovich, the Steinway Hall, Wigmore Hall, Purcell Room and Royal Festival Hall. Alim was awarded 3rd prize at the Liszt International Junior Competition in Weimar and he won the First Prize in the inaugural Cliburn International Junior Piano Competition in Fort Worth, Texas. In February 2016, Alim was a guest at BBC Radio 3’s ‘In Tune’ promoting his concert at the Royal Festival Hall, where he performed Rachmaninov’s Second Piano Concerto with the Purcell School Symphony Orchestra. 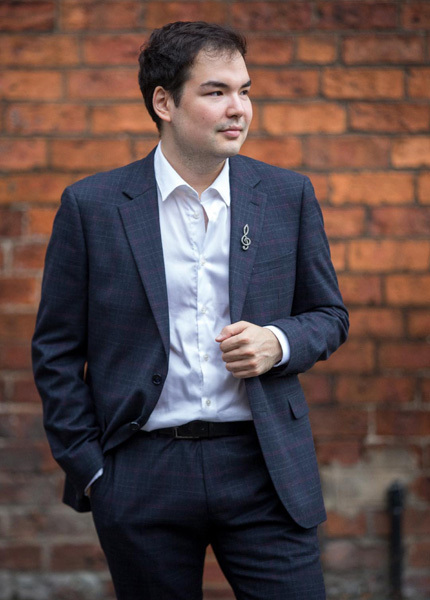 In summer 2017, Alim was awarded 1st prize at the Manchester International Concerto Competition where he performed the First Tchaikovsky Piano Concerto with the Manchester Camerata. Later that year, he also won the Jaques Samuel Intercollegiate Piano Competition which led to his Wigmore Hall debut in June 2018. Alim is also one of the musicians at the Talent Unlimited scheme. Since September 2016, Alim is studying with Tessa Nicholson at the Royal Academy of Music in London on a full scholarship.